Smile-A-Mile is a place I LOVE!! It brings me together with people that I can share my experiences with and learn from theirs. 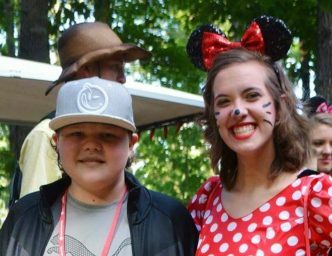 I have made life-long friends at through SAM, and hope that in the future I can be a counselor so that I can help, encourage, and mentor other children experiencing the many stages of cancer. SAM had made a difference in my life, and look forward to going every year!! !